A career as a health coach could change your life. It could also change the world. So what is health coaching, exactly? When most of us hear the word “coach,” we think of a high school basketball coach with a whistle around his neck, yelling at you. Why is this so critical? Because making real, lasting lifestyle and behavior changes isn’t a switch you flip. It takes ongoing effort and support. You provide the right kind of support to help clients make critical lifestyle and behavior changes aligned with their health goals. Fact: We need health coaches—now more than ever. Why? Because our healthcare system is broken. And doctors alone can’t fix it. Questions? Talk to an enrollment advisor. Why is chronic disease on the rise? It’s happening for a few reasons. In other words, what we eat (highly processed, inflammatory foods) and how we live (too much sitting, not enough sleep, chronic stress, etc.) are no match for the way our bodies have evolved—and thus we’re out of sync with our surroundings, unable to function optimally. Our current medical model is the wrong tool for the job. Conventional medicine is designed to address acute and traumatic medical conditions—infection, fever, wounds, broken limbs. But its singular focus on house-on-fire emergencies is no match for the slow, persistent burn of chronic illness. We’re not set up to offer the most effective kind of care. Seven minutes with a doctor is not enough time to put sustainable lifestyle changes in place to support long-term health. We need a healthcare system that emphasizes and supports the interventions that will have the biggest impact on preventing—and reversing—chronic disease. Left unchecked, the tide of chronic disease will continue to rise—and destroy our quality of life, killing millions each year. … That means the answer to the healthcare crisis isn’t just more doctors. We need people who provide that vital (and missing) layer of support to help patients make lasting diet, lifestyle, and behavior changes, cope with stress, and provide moral and emotional support. You can have a bigger impact than you realize. Helping people to change their diet, lifestyle, and behavior is the single most important step we can take to reverse chronic disease. In fact, I believe that health coaches are just as important as—if not more than—licensed clinicians when it comes to addressing the chronic disease epidemic. Do you have what it takes to be a health coach? Think back to the last time you helped someone through a tough or confusing time. Tell your friend or family member what to do … or did you listen? Have all the answers … or ask good questions? Try to get that person to do what you thought was right … or support her as she made the decision that was right for her? The best kind of support—the kind that makes a difference—doesn’t come from the person with the highest degree, biggest income, or most connected network. It comes from the person who knows how to be present, to listen, and to offer unconditional support. If you can do that, it means you’re a good friend. … It also means you’d make an excellent health coach. A coach is not an advice giver. Fact is, anyone can give advice. But not everyone can help another person tap her own potential for change. If information alone could create change, then Google could cure chronic disease (spoiler alert: it can’t). Most people already know what they should be doing, and simply telling them to do it isn’t going to magically change their behavior. Your job as a coach is not to be an “expert” on health, but a catalyst for change in another person. Inconsistency and low standards have harmed the coaching profession. But the idea that it isn’t a “real” thing couldn’t be further from the truth. Truth: Fact is, the current medical system is ill equipped to address the epidemic of chronic disease—which is why health coaches will play a vital role in the reinvention of healthcare. Again, completely untrue. Now, having strong coaching skills is not the same as having business acumen, and you need both. Truth: Coaching is like any career—it takes time to grow. There isn’t just one way to earn income as a coach, either—you can work on your own in private practice, in a clinical setting, or for a company, school, or other organization. There are plenty of opportunities for making this a sustainable and profitable career. I wish we had that problem, where we had so many qualified coaches that we didn’t need any more! But that simply isn’t true. Truth: According to the U.S. Bureau of Labor Statistics, health coaching (along with other health professions) is growing at a faster rate than any other occupation. The statistics on chronic illness speak for themselves. Highly skilled coaches are crucial for helping people make lifesaving behavior change. In short, the world desperately needs your passion for health, and your compassion for people. How do I know if health coaching is for me? You’re a gifted and passionate communicator who loves to create real and thriving connections one on one. You’ve watched loved ones struggle (or struggled yourself) with chronic disease, or experienced the transformative effects of healthy living, and want to share it with others. You’re hungry for a way to make your work matter, whether by adding skills to your current role or starting a new career altogether. Either way, you’re ready to make a meaningful contribution to a critical cause whose results you can see. There’s no question that a skilled health coach has had plenty of training. But here’s the thing: It’s the Wild West out there! Virtually any educational institution can call itself a health coach training program. And anyone can take one and hang out their shingle the very next day. When a coaching program doesn’t adequately prepare the coach, not only does the coach suffer, but the client does, too—along with the entire reputation of the coaching profession. If we want health coaches to be taken seriously and given the respect and credibility they deserve, we need to establish and maintain guidelines for how they should be trained, the skills they should acquire, and how they should operate in their practice. This comprehensive program ensures that you get everything you need to establish and grow your coaching career. Top-notch content on the art and practice of coaching, functional health, and professional development, delivered in a way that informs—without overwhelming. A tight and connected group of ambitious and health-minded professionals like you dedicated to maintaining supportive relationships with their clients and each other. Our emphasis on practical application, mentorship, and peer-to-peer coaching means that you’ll have plenty of focused feedback and guidance and never be left to fend for yourself. Health coaching doesn’t start with serving clients, but with finding them. We help you set up, establish, and structure your work so that you can run it as a profitable business. Few health coaching programs offer much in the way of nutrition training. Those that do tend to give an overview of different diets—Mediterranean, vegetarian, vegan—without specific recommendations backed up by science. We provide in-depth and evidence-based training on ancestral health and nutrition. We'll tell you what works—and why. Like all organisms, humans adapted to survive and thrive in a particular environment. Our environment has changed dramatically since the days of our hunter–gatherer ancestors. Processed foods, artificial light, and our largely sedentary lives have affected everything from our digestion to our sleep patterns. The human body has not caught up to the changes in the modern environment—causing a mismatch between our genes and the world around us. This mismatch is the driving factor behind the modern epidemic of chronic disease. The goal: realign your body with the environment. We call this the ADAPT Health Coach Training Program for a few reasons. Naturally, ADAPT refers to the fact that we must address mismatch between our genetic code and the modern world we live in by adapting—by aligning our bodies with our environment. But ADAPT also refers to another thing that must change: Our entire medical system. The sickcare model that evolved to address acute issues (infection, broken bones, etc.) is not equipped to address the greater threat of chronic disease. We not only need to adapt our individual behaviors; we need to adapt as a society so that we can more effectively address the issues posing the largest threat to our health and our lives. ADAPT is about making positive changes that last … and when you’re trained in this approach, you become a change agent. Diet variations: AIP, low-FODMAP, ketogenic, etc. You’ll devote the first six months of your education to laying the foundation of knowledge for your coaching practice. But unlike other text-heavy programs, where you drink from a firehose of information and then promptly forget all of it, we designed this program so you can digest it and put it into practice right away. No, we don’t expect you to learn all about coaching from a slide deck. It’s not all one-way content, either. The practical application starts during this pre-practicum period, with peer-to-peer coaching, mentor coaching sessions, and dedicated time for developing skills so that you can put what you learn into practice—right away. Plus, you’ll have opportunities to connect with your fellow classmates and colleagues in our online community so that you can share ideas and interact with TAs and mentor coaches. This practicum period is what sets our program apart from just about any other coaching program you’ll find, as we are one of the only year-long programs that feature a full six months of practicum. All of this is geared toward helping you not only apply the concepts and master the skills—but also prepare for certification at the end. What is the time commitment expected for the program? Imagine having not only the answers to your pressing coaching and business questions, but also the written procedures and ready-made forms to go along with them. Start your coaching career today! Have questions? Review our FAQ, email us or schedule a call with an enrollment advisor. OK, so what makes this program different from other coaching programs? You can’t learn coaching without practicing anymore than you can learn piano without your hands on the keys. You have to play over and over to master the skill. Whereas most coach training programs are 90% information and 10% practice, we aim for the reverse: with as much as 70% focus on practical application, and 30% content over the course of the year. The traditional methods for learning (which you were taught in school) don’t work. So we don’t use them. No “firehose” of information. No brute-force memorization. The research on learning theory is very clear—these methods don’t help you actually absorb or use information. Content is delivered a little bit at a time, over a longer period of time. Think a couple of hours a week over several months rather than a 3-day workshop. Topics unfold in a way that mimics how you will apply them later. This helps you put what you learn into practice so it doesn’t just go in one ear and out the other. Our approach encourages thinking, analysis, problem solving, and discovery—the same skills you need to be successful as a health coach. We use low-stakes quizzes, prompts, action steps, peer-to-peer practice, and other tools for increasing comprehension and retention. There is no learning without action. Our traditional “sickcare” model of medicine is all about division—one practitioner from another, this specialist from that one, and doctors apart from, well, everyone else. The future of healthcare isn’t defined by how different we are, but by where and how we collaborate. And that’s a skill and mindset that coaches and practitioners must master in order to lead the way to a new era of healthcare. This lack of communication and collaboration between coach and practitioner can spell frustration for both of you—and trouble for the client. If coaches are going to be part of the future of medicine, then collaboration is key. It’s crucial to your work, your client’s health, and the reinvention of healthcare. And few, if any, programs are equipped to offer it. Coaches struggle to find Functional Medicine practitioners to refer clients to—and practitioners are in desperate need of good coaches. We’re the first organization that trains practitioners and coaches under the same theoretical and practical framework. The ADAPT program provides more than training; it’s an ecosystem in which coaches and practitioners are not only trained in the same approach—they have the opportunity to connect with each other. The result? Far more effective and synergistic collaboration. While coaches are not trained to practice medicine, having a clearer understanding of how Functional Medicine and ancestral health works can give you a powerful lens for working with both clients and practitioners. Emphasizes practical application over book learning, so you can not only acquire the knowledge you need, but more importantly, master the core skills and competencies that will make you a successful coach. Embraces an ancestral approach to diet, lifestyle, and behavior, with information that is based on both peer-reviewed evidence and clinical experience—instead of providing general information about a wide range of diets, as most other health coach trainings do. Gives you a Functional Medicine context, leading you beyond the legal scope of practice for a health coach. While we don’t train you to interpret labs or treatment protocols, which is beyond the scope of a coach, we give you a familiarity with them, while underscoring your role as an expert in human behavior change. Is directed by a global thought leader in Functional Medicine and the application of the ancestral approach and Paleo principles to the prevention and reversal of chronic disease. Features content delivered and taught by the same experts who created it. Some coaching programs have guest appearances by experts with short added Q&A sessions. Our curriculum was created by top experts in each of the core competency areas (e.g., motivational interviewing, character strengths, stages of change, etc. ), and these sessions are hosted by the experts themselves. Join a new class of health coaches poised to lead the healthcare revolution. There are lots of reasons to become a health coach. You’re ready for a new career. You’re passionate about health. You want to contribute to something larger. You want to put your own experience to good use in helping others. Becoming a good coach makes you a better person. It’s true. Because the capacities you need to be a good health coach really do serve you in every other area of your life, from your relationship with your partner to the way you parent your kids to how you experience your life and the world around you. These are the skills that a well-trained health coach should have. But they’re also skills that make us better humans. While there are so many great reasons to become a health coach, there are also many good reasons not to. Do you accept that the motivation for lasting change comes from within your client—not you? Are you willing to meet your clients where they are, rather than where you think they should be? Are you willing to develop “being skills” like mindfulness, empathy, compassion, listening, and presence—and do you see these skills as at least as important as “what you know”? Would you be comfortable not sharing your knowledge or giving advice, even when you’re sure that you have the “right” answer for your client? Do you enjoy listening as much (or more) than talking? If you didn’t answer yes to most of these questions, health coaching may not be the best fit for you. We are offering a limited number of partial scholarships for those who are qualified and want to enroll but simply cannot afford to do so. We only offer the 12-payment plan you see above. However, there are third-party companies that may be able to help you spread out the payments. Chris Kresser, MS, LAc, is the Co-Director of the California Center for Functional Medicine, founder of Kresser Institute, creator of ChrisKresser.com, and the New York Times best-selling author of The Paleo Cure. He is one of the most respected clinicians and educators in the fields of Functional Medicine and ancestral health and has trained over 1,000 practitioners around the world in his unique approach. Chris was named one of the 100 most influential people in health and fitness by Greatist.com and has appeared as a featured guest on Dr. Oz and Fox & Friends and in other national media outlets. His new book, Unconventional Medicine, presents a three-step plan for reinventing healthcare and reversing chronic disease using Functional Medicine, an ancestral diet and lifestyle, and a collaborative practice model that links health coaches with licensed providers. Chris lives in Berkeley, California, with his wife and daughter. Robert is the foremost authority on positive psychology coaching and has consulted with a wide range of international organizations on performance management and talent development. He conducts trainings on coaching, strengths, positivity, courage, and appreciative inquiry with organizations and businesses around the world and through his own coaching school, Positive Acorn. Robert has trained professionals in North America, Europe, Asia, Africa, Australia, South America, and the Middle East. He has a doctorate in social psychology and a master’s degree in clinical psychology and is an ICF Professional Certified Coach. He is the author of Practicing Positive Psychology Coaching, The Courage Quotient, and The Upside of Your Dark Side, among other books. John is on a mission to help people learn communication and conflict resolution skills that create empathy, compassion, and collaboration. For more than two decades, John has mediated conflicts in a wide range of contexts, including families, businesses, and organizations. A certified trainer of the Center for Nonviolent Communication (CNVC) since 2000, he’s the co-creator of the international Mediate Your Life (MYL) training program, which draws on the international work of Compassionate Communication (Nonviolent Communication/NVC) with mindfulness and a mediation framework. A seasoned speaker, trainer, and coach, he’s the author of several books, including When Your Mind Sabotages Your Dreams: Turning Your Critical Internal Voices into Collaborative Allies. He studied clinical psychology at Penn State University, and during his five years of doctoral study, he worked as a psychotherapist with individuals and groups and as a research assistant at the Stress and Anxiety Disorders Institute. John lives with his wife and children in the San Francisco Bay Area. Forest is the Founder and Director of Wise Up: Simple Tools for Greater Wisdom + Wellbeing, a nonprofit offering mindfulness-based, science-backed trainings to organizations and corporations. He is also the Curriculum Director and Lead Instructor of Mindfulness Programs for Teens + Young Adults at UCSF Osher Center for Integrative Medicine. Through community partnerships, Forest designs and teaches mindfulness-based wellness programs to support at-risk and homeless youth and the people who serve them to experience greater resiliency, health, and well-being. As of 2018, his programs have touched the lives of more than 2,000 youth. All of his work is rooted in teachings and practices that support compassionate awareness of and care for oneself, one another, and our world. Forest has been practicing mindfulness since 1999. Kerry is Co-President and CEO of Pro-Change Behavior Systems, Inc., a research and development company on a mission to disseminate evidence-based behavior change solutions to maximize health and well-being. In July 2011, Kerry was named one of Rhode Island’s top businesspeople in the annual “40 Under Forty” feature in Providence Business News based on her career success and community involvement. She has close to 40 publications and has been invited to speak at close to 100 meetings and conferences in the United States and around the world. She obtained Pro-Change’s first SBIR funding from NIH in 1998 and has been integral in the awarding and implementation of many of Pro-Change’s corporate contracts. She is currently the Principal Investigator on $2.5 million of SBIR contracts with the National Institutes of Health. She received her PhD from the University of Rhode Island, where she is now adjunct faculty. She is actively involved in a variety of professional societies and several boards of local nonprofits. Ken has worked in health, behavioral health, and homelessness/housing for over 30 years. He is a Senior Associate at the Center for Social Innovation and Director of Training for t3 (think. teach. transform.). Drawing on his direct service and supervisory experience, Ken has developed various curricula in best practices. 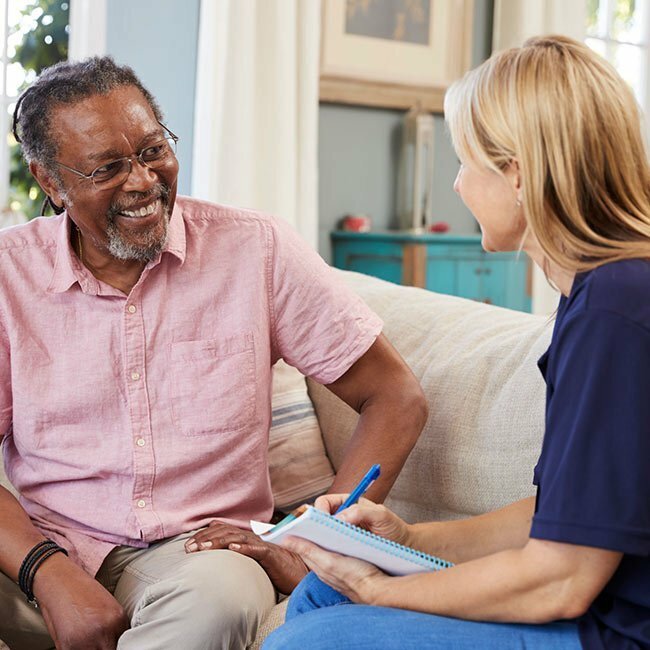 He provides onsite and online training nationally on motivational interviewing, supervision, outreach and engagement, tenancy support, trauma-informed care, and renewal for care providers. Ken earned his master’s degree at the University of Washington in Seattle and his undergraduate degree from Goshen College in Indiana. For more than 30 years, Keith has helped natural health and wellness companies and entrepreneurs find their unique message, attract their passionate audience, and create lasting authority, impact, and income. As a former health products marketing VP, content marketing expert, and strategic advisor, Keith has helped health practitioners, wellness authors, supplement formulators, and some of the biggest alternative wellness companies in the world break through the noise and get noticed. Keith has shown his clients how to go from nonexistent to #1 on Google for meaningful keywords in under six months and grow their lists from 5,000 to 100,000 in under a year. In addition to producing multiple New York Times best-selling health authors, he has helped health practitioners launch digital products that produce 200 percent more income annually than they make from seeing patients. Keith now works exclusively with current and future thought leaders in health and wellness through private consulting and via his online guided course, Evergreen Authority. He teaches you how to build an audience and attract clients, patients, and followers without becoming a full-time marketer, without putting your practice on the back burner, and without sacrificing your purpose and authenticity. Mary Beth Diener McGavran, PhD, is an Associate Professor in the Department of Psychology at the University of Kentucky and serves as the Associate Director of Clinical Training. Her work focuses on clinical training with graduate students in clinical psychology, and she also enjoys working on an interprofessional team to facilitate service learning with medical and allied health students. Since 2014 she has been a mental health specialist doing pro bono work with people who are refugees at the Survivors of Torture Recovery Center in Louisville, Kentucky. Dr. McGavran graduated from Grinnell College with Phi Beta Kappa honors and earned her PhD at the University of Kentucky in 1999. She grew up in Illinois. While some coaching programs require that you fly to another location several times a year (which can add thousands of dollars in expenses), our program is 100% virtual, which means you can stay on track with the program from wherever you happen to be. You can access the recorded content anytime through the membership site, and all you need to participate in the live sessions is an internet connection. Do I have to travel to participate? Nope! While some coaching programs require that you fly to another location several times a year (which can add thousands of dollars in expenses), our program is rolled out virtually, so you can learn from the comfort of your home or office. Will I get support or any individual attention? You will absolutely get support. The program is designed not just to educate, but to offer plenty of opportunities for feedback, live Q&A with the instructors, and small group coaching. If you have questions or issues and want more insight, you’ll have access to mentor coaches and TAs who can address them with you. Are you going to show me how to start my business? Yes. Setting up your business is critical to your success as a coach, and one of the three critical areas of study is professional development. Not only will you learn how to set up your business (legal, banking, bookkeeping, accounting, scheduling), but you will also study productivity, scheduling and time management, and referral partnerships, as well as policies for running your practice. We’ll also give you opportunities to build your online presence and platform and marketing and sales strategies to gain greater visibility. You automatically qualify if you a) have a professional license, certification, or associate’s degree or higher in any healthcare or wellness-related field or b) have at least two years of full-time work experience in a healthcare or wellness-related field. You can also qualify with other types of education and experience as well. Please refer to our Health Coach Training Program Eligibility Form to verify if you qualify. Orientation begins the week of June 9, and you’ll have access to the content modules starting June 16. Yes! The program is completely virtual, no travel required. We estimate that with the recorded content, live sessions, and the work you’ll do on your own and with your assigned partner, you’ll spend 10-12 hours per week on this course. Will you offer scholarships, financial assistance, or payment plans? Yes! We offer 12-month and 18-month payment plans if you do not wish to pay in full. If you need to spread the payments out over longer than 18 months, there are a couple of other financing options available through third parties—see our Financing page for more information. In addition, we do offer a partial scholarship. Please see our Scholarship page to learn more and apply. Can I take this program if I don’t live in the United States? Yes, we’ll hold live support sessions at various times and make every effort to accommodate those living in different time zones. And of course since the content is virtual, you can access it anytime. What formats will the content be delivered in? You’ll learn in a variety of ways—as we said, there will be live sessions, video content and slide decks, as well as audio content, downloadable worksheets and resources. All you need is an internet connection to participate! The content will be released weekly, so you can’t work ahead, but trust us—you will have plenty to do, and we believe the value in this course is that you’re not drinking from a firehose, but instead will have the chance to pace yourself and really absorb and apply the material. To be eligible for the ADAPT-Certified Functional Health Coach (A-CFHC) certification, including certificate of course completion, you will need to complete all required coursework within the 12-month course schedule. You will have an additional 6 months to complete the coaching log of 25 practice sessions for the A-CFHC certification beyond the end of the 12-month course. You will also have access to all the online course materials for your reference for an additional 12 months beyond the 12-month course calendar, but live support will end after course completion or the first 12 months. What if I miss a live event? Will I be able to view it later? Yes! Not to worry. We understand that sometimes you may have a scheduling conflict. We record all the live sessions, and you’ll have access to them later. If I wasn’t able to order labs prior to starting this program, will I be able to order labs after becoming certified in this program? No. Certification will not allow you to practice beyond your current licensure, certification, or scope of practice. If I completed the ADAPT Practitioner Training Program, do I get a discount on the Health Coach Training Program? We understand and applaud the interest that healthcare practitioners have in also becoming better coaches. While you do automatically qualify and get preferential consideration in filling the limited spots for this enrollment, we do not currently offer any discounts for the 12-month program. What kind of contact will I have with Chris? Chris will host a live Q&A each month on a series of topics throughout the program. I’m already a certified health coach. Can I just take the Functional Health and/or Professional Development tracks? Can I just focus on specific areas of study? You’re welcome to take this course as a certified health coach! We work with lots of certified coaches who really want to expand and deepen their expertise, particularly in the areas of ancestral health and Functional Medicine. That said, the program at this time must be taken in its entirety, as it is designed, and cannot be broken up. What if I start the program and decide it’s not for me? Is there a money-back guarantee? We make every effort to ensure that you have everything you need to make a confident and informed decision before you enroll. If you are considering enrolling but feel unsure, please schedule a free consultation with an enrollment advisor. We offer a refund prior to the end of the enrollment period. We also have a satisfaction/refund policy that applies to the first six weeks of the course. You can read the details of the refund policy here. After six weeks, no refunds are offered. What if my circumstances change and I no longer have time to keep up with the coursework? You do not need to stay on the exact schedule we set forth for the course. You are free to pause and catch up, working at a somewhat flexible pace, as long as you complete all required coursework by the date of course completion. You have access to the course materials for a full 12 months after the end of the 12-month course calendar. The live support will be available only during the first 12 months, however. If you think you need more than just a little break or flexibility, you can also apply for a transfer to the next course. Please see the full transfer policy for details.